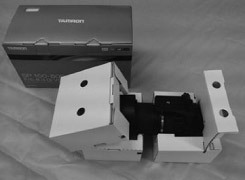 To protect your valuable product, we can propose durable, attractive packaging with the optimum cost and materials. 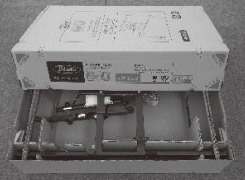 In order to distribute a product, it must be shipped and stored. 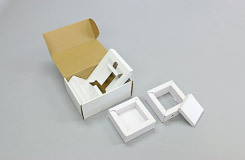 When shipping or storing the product, it is extremely important to use the proper packaging to protect the value and condition of the product. Packaging design refers to the process of creating the most suitable packaging speciﬁcations according to the product characteristics, production trials, and production schedule. As a result, the product is not only safely protected, but waste in the shipping costs, storage costs, and other distribution costs can be eliminated. The person in charge of designing packaging is a specialist with a packaging professional certiﬁcation. 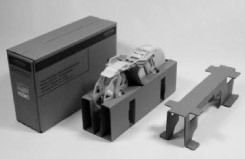 When designing the packaging, shock-absorbing characteristics, environmental safety, and cost reductions through downsizing are considered. In addition, we can work together with the client to produce designs that increase the "excitement" for the product when the packaging is held, cartons boxes that have attractive exterior designs, and packaging that has a high POP (point of purchase) effect when displayed in a store. Of course, we can review the material costs and production costs, but it is also possible to lower the shipping costs, storage costs, and other general distribution costs by reducing the weight and size of the packaging. Packaging with sufﬁcient durability and cushioning effect can also help prevent problems during distribution. The Crestec Group can procure materials from all sites. We can quickly provide a suitable sample using materials from a mass production source that complies with environmental regulations. We also have an organization for mass production overseas. Listen to the client's packaging requirements and conﬁrm the schedule. 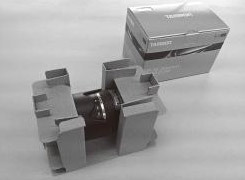 Propose the optimum packaging considering cost, quality, and environmental concerns and a design with excellent ease-of-packing and shock-absorbing characteristics. Using a sample cutter, create a test sample. We can also use our global network to create test samples using materials from the same source for mass production. While carrying out an internal design review, also perform a general evaluation of safety, costs, effects on the environment, and other factors. 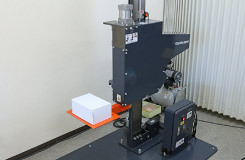 Carry out packaging and freight tests that comply with various standards. 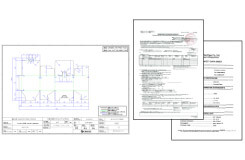 Once the client conﬁrms the costs and approves the test results, a CAD drawing (DXF ﬁle) of the packaging is provided to the client. We can also provide the MSDS and ICP data. Carry out evaluation tests to conﬁrm the quality of test samples equivalent to the packaging for mass production.